From the terminal run the following and type your password when prompted. You will be greeted with a screen that looks like this. 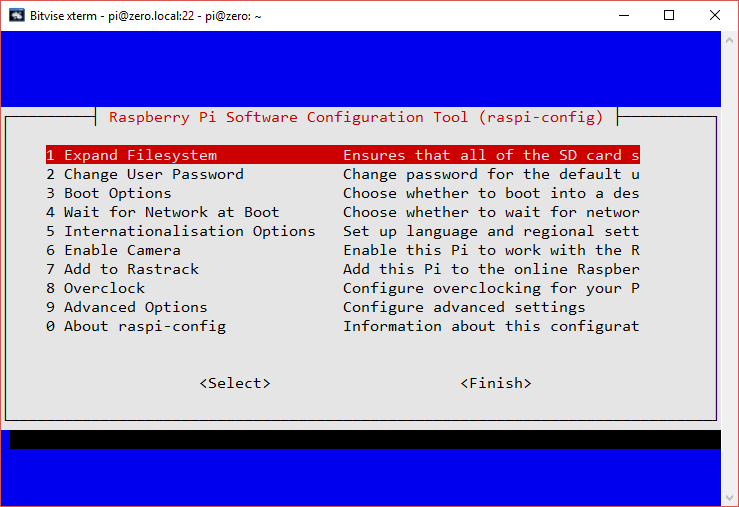 Navigate through the sections with your keyboard to setup your Raspberry Pi. Once complete you will be asked to reboot. The settings will remain enabled once complete. 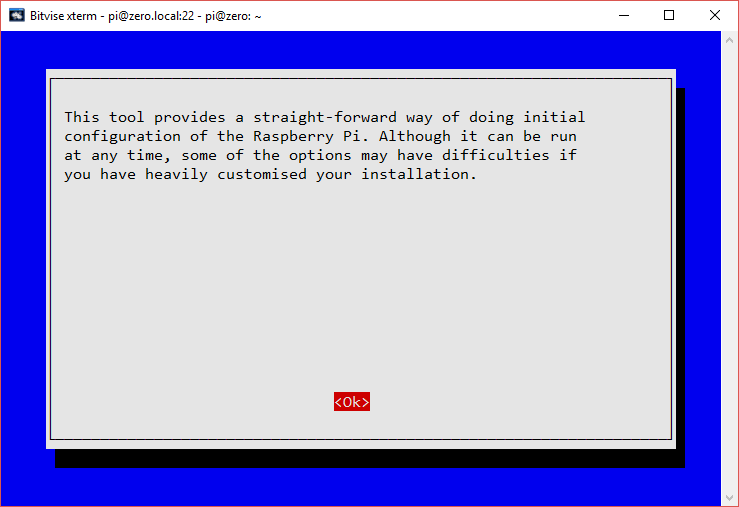 It is recommended that this be completed before other modifications or installations are completed on the Raspberry Pi to prevent possible conflicts.